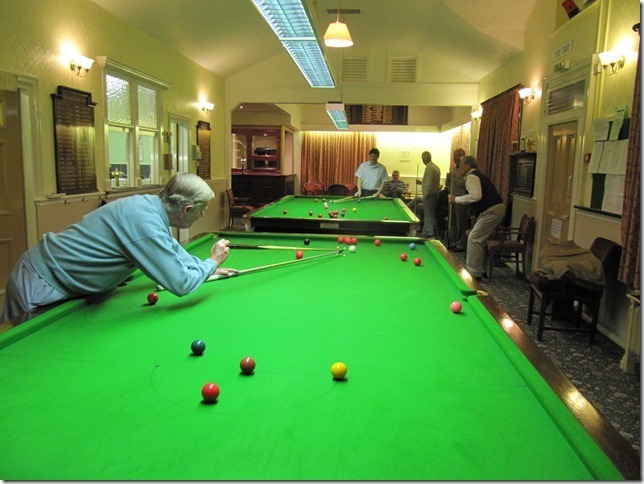 Greenroyd has two full size and very well maintained snooker tables in very comfortable surroundings. They are well used on three evenings a week and frequently during the day for social snooker. The Club has a handicap system and it organises a number of internal snooker competitions open to all members. There are both league and knockout, singles and pairs competitions which are played during the winter months. The Club also has two teams playing in the Calder Valley Snooker League, with varying degrees of success. CVSL matches are played on Monday evenings from September to April. Any Club member can be registered with the League to represent the Club as a player.